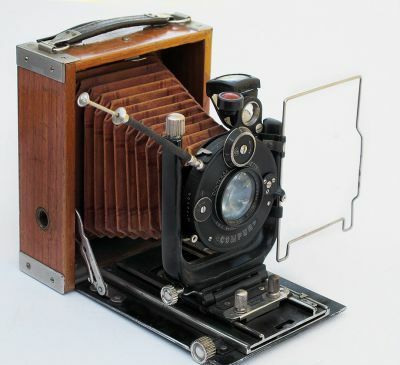 Adoro Contessa Nettel Tropical folding plate camera. brown leather covering on door, Beautiful Teakwood body with nice red/brown bellows. A Rare camera. Lens: Doppelanaastigmat Citonar 4.5/10.5cm. In compur shutter. Made by Zeiss Ikon Germany ca.1927.